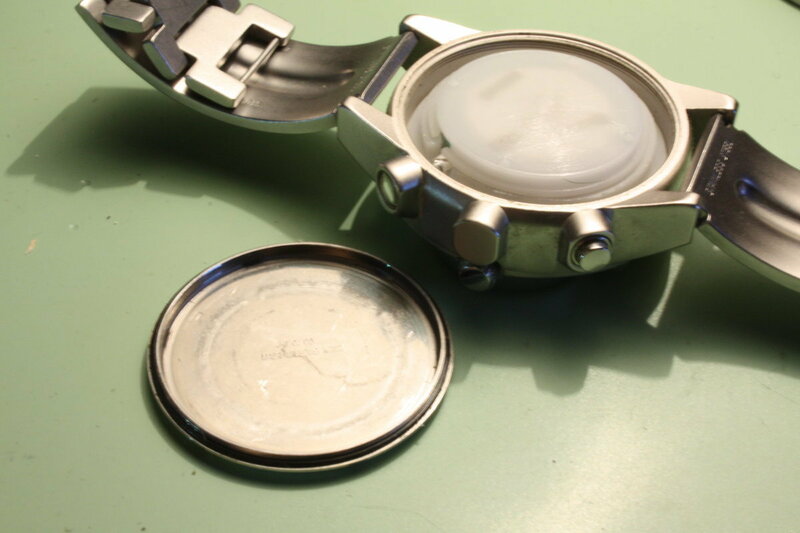 This blog entry shows the interior of a Storm Navigator multifunction watch. But lets start with the daring design of the exterior. We have an analog watch with the STORM logo (A), a LCD display with various functions (B, e.g. 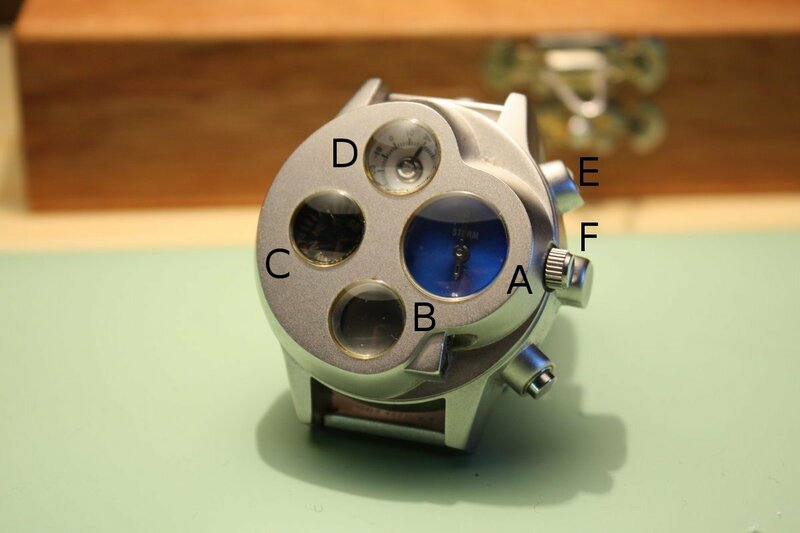 used as dual time indicator), a compass (C) which "is a design feature and is not a highly accurate instrument" (text cited from the manufacturer´s official product page =-), a thermometer (D, not highly accurate either) and a small torch (E). 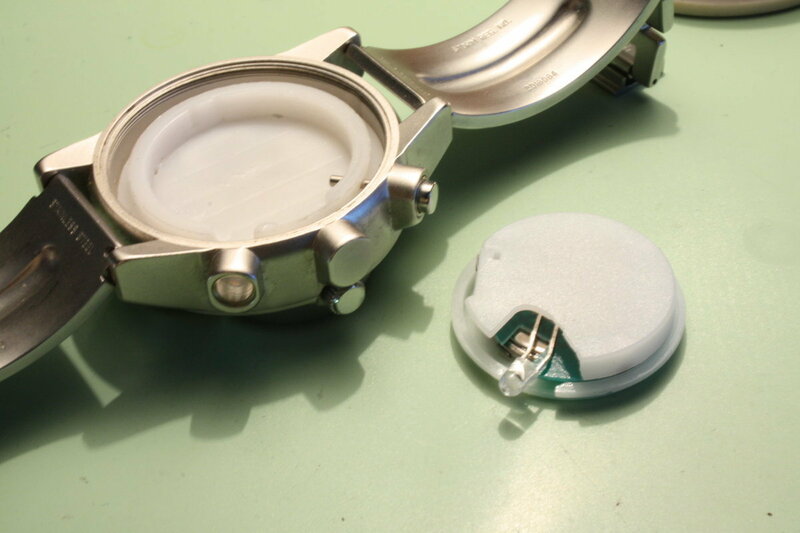 To turn the latter on (for a few seconds only) the pusher below the impact-protected setting crown (F) is used. 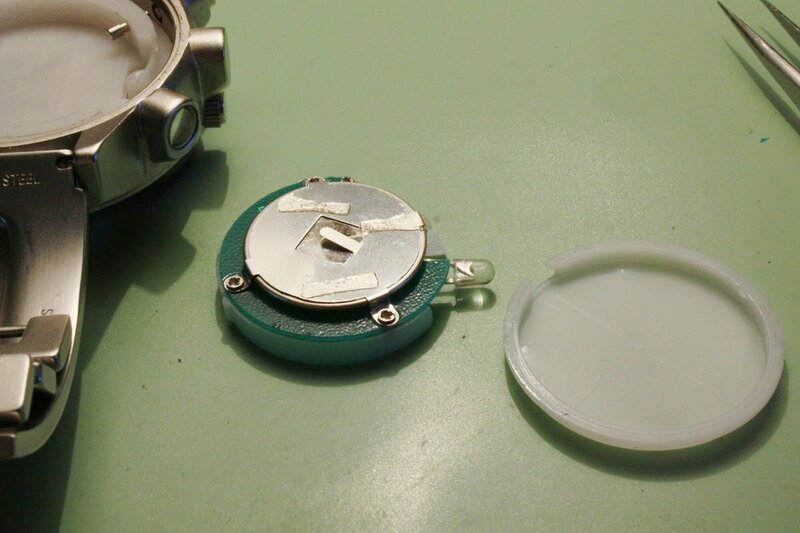 ...we find a button cell and a simple circuit module with an orange LED. Under the torch module lie the other elements. 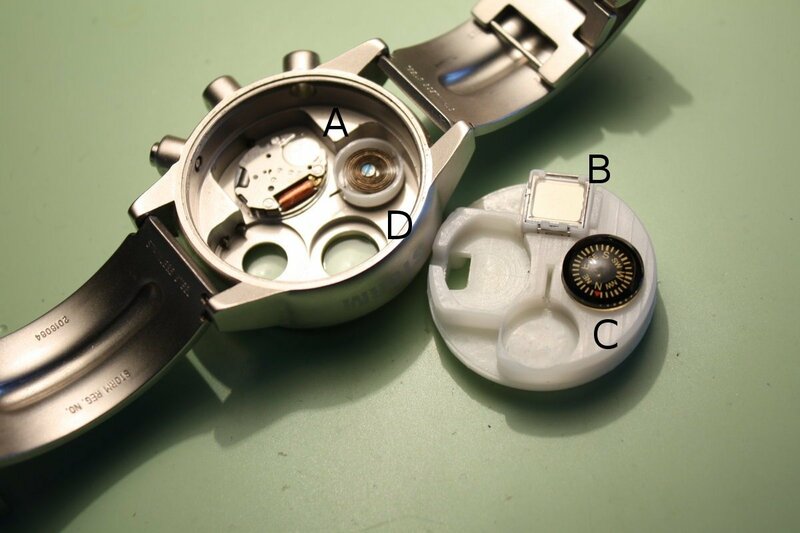 A Miyota watch movement (A, another button cell here), the LCD module (B), the compass (C, these small compasses are often used in other gadgets and sometimes toys, too) and the very simple and inaccurate thermometer (D). 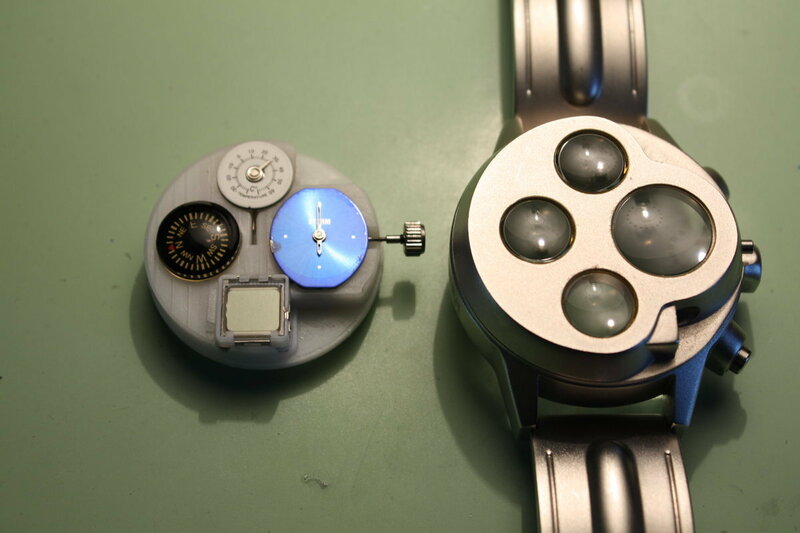 This is how the modules fit inside the watch. 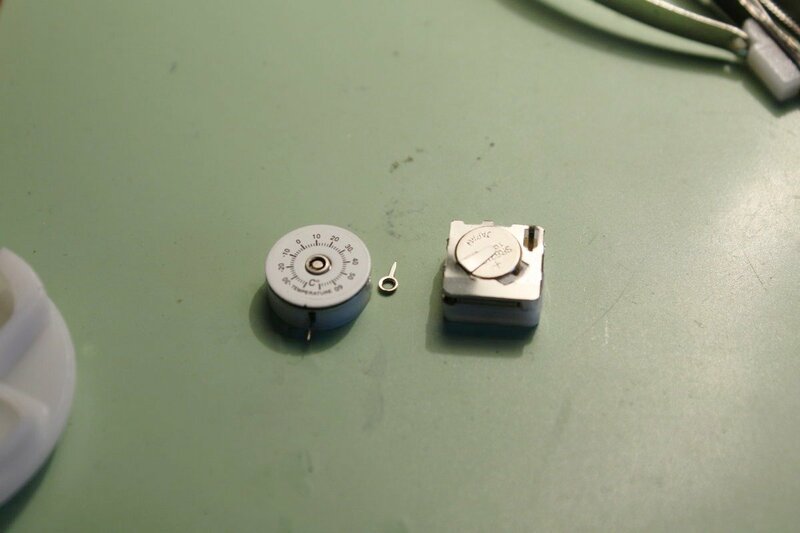 The spring inside the thermometer module has too much play to show a correct reading. In addition, the body temperature which warms the case up falsifies the "measurements". 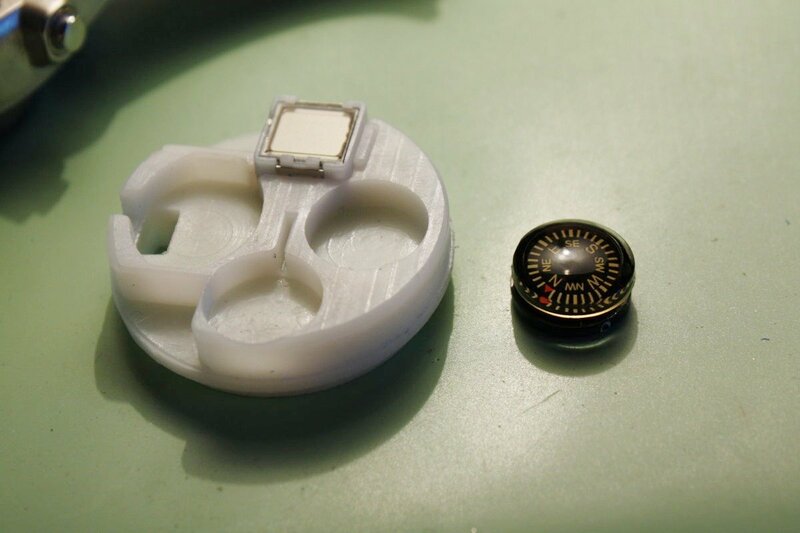 The LCD module on the right features the third and last battery inside the watch. 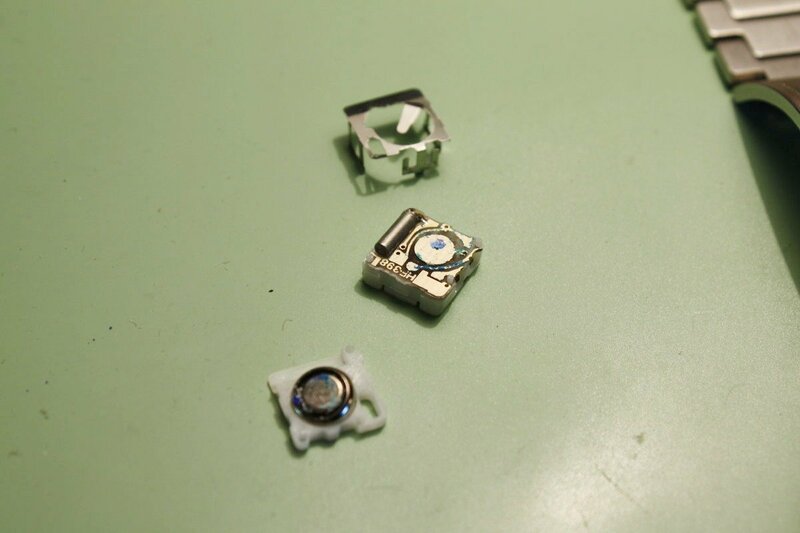 And as fate has it, at least one of the three button cells had to leak and here we see the result. So what do I think...well, this watch really works as a fun gadget with its high-quality stainless steel case and its unique design. However, the necessity of three batteries in one watch (environmentally not too friendly btw) combined with toy-grade instruments make it a bad choice for a serious navigator / explorer (admittedly, for a suicidal crossing of the Atlantic ocean it might be the perfect toolwatch).